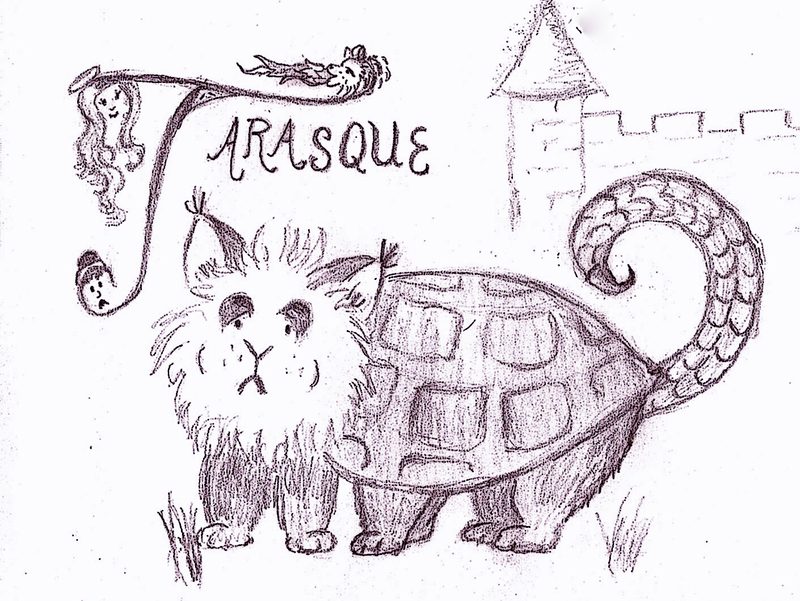 The Tarasque is a folkloric monster of Southern France, who has followed the path of many other monsters. Made up of leftover parts from other monsters, his current job is to inspire piety. The Tarasque’s story is complicated. This monster, seemingly made up of the leftover parts of other monsters, has a turtle/armadillo body, lion/dragon head, and scorpion/snake tail. He also has 6 bear like legs! The Tarasque had a nasty habit of breathing fire on the local population and then eating them. He liked his peasants well done. Things were looking rather grim in the 12th century until Saint Martha showed up. This Wonder Woman was able to calm the Tarasque with faith. She brought the Tarasque to the nearest town, Nerluc, not with a golden lasso, but with her long braided hair. Here the story differs, depending on who is telling the story. My French friends claim the monster was so calm, that the town was awed by the power of Christianity. The monster, tame as a pet kitten, left the town to swim away in the Rhone never to return. Unless of course the townspeople ever turned away from Christ. He is still a beloved boogeyman in some households, able to convince reluctant small children to attend church. Behave and be Christian, or the Tarasque will return! Other endings have the townspeople killing the now tame beast, Saint Martha having more control over a monster than a town mob. The town felt such sadness at killing the beast, that had after all made BBQ out of many of their relatives and friends, that they renamed the town after the beast. 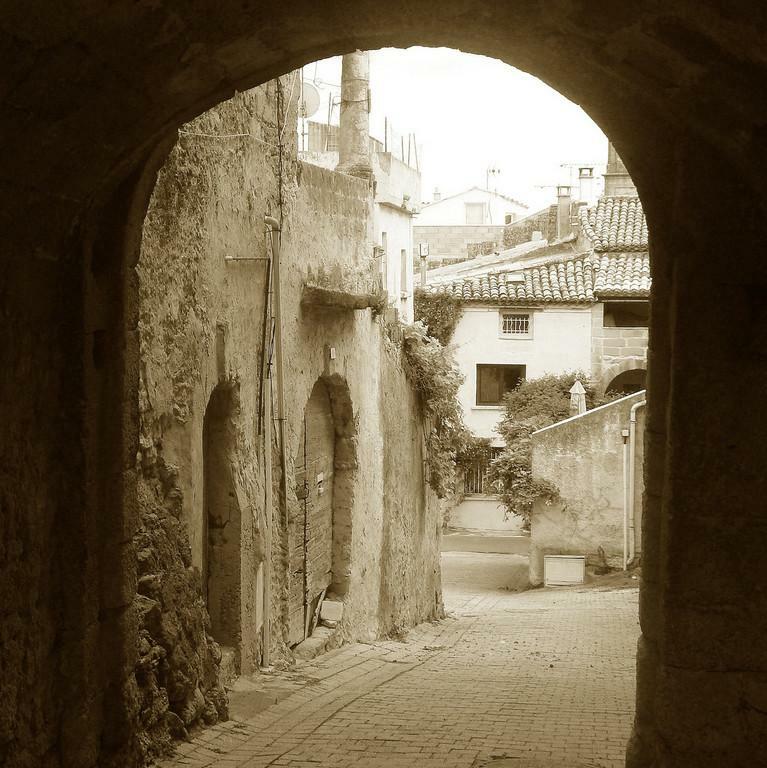 Tarascon is now the name of the town formerly known as Nerluc. There a yearly festival is held to honor Saint Martha, the beast, and to bring in tourist dollars. The Tarasque now has met the fate of most monsters, and has become a tourist attraction.